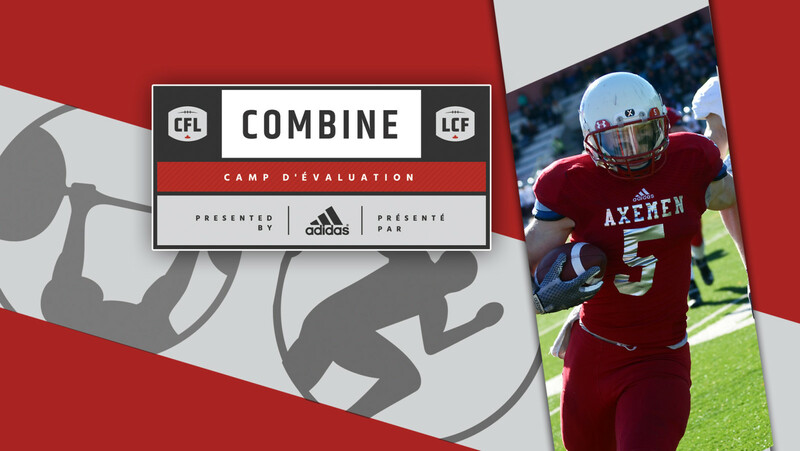 TORONTO — Testing time has arrived in Toronto, as the 2016 CFL National Combine puts Canada’s top football prospects in the national spotlight. It’s a pivotal point in the career of many young amateur football players across the country. 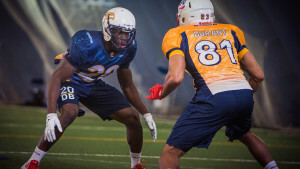 For some, a spot in May’s 2016 CFL Draft is a foregone conclusion. The rest, however — their entire career could rest on the next three days of jumps, lifts, sprints and one-on-ones among everything else. 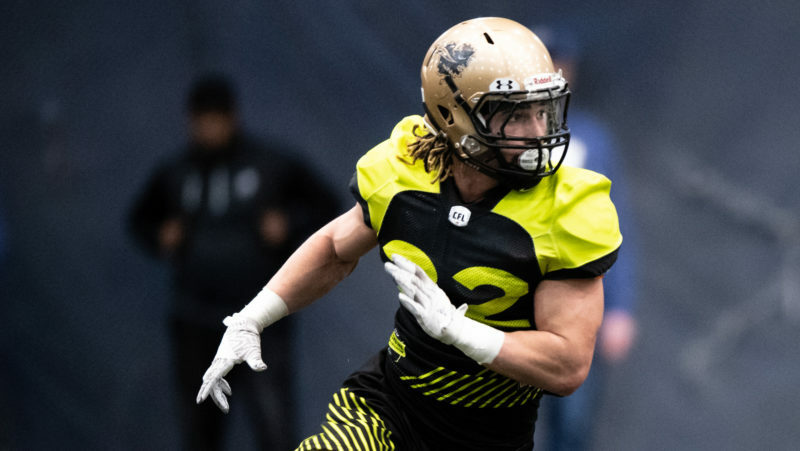 From regional combine results to who will bench press the most reps, CFL.ca has you covered with a National Combine Primer to kick off the weekend. The implementation of regional combines in 2013 opened the door for those that may have been missed to earn an invite, and so far many have taken advantage. Three regional combines held across Canada in Edmonton, Montreal and Toronto helped 17 players add their names to the list of this weekend’s participants, cementing a roster of Canada’s top amateur talent on full display for scouts, coaches and general managers. Keep a close eye on these recent additions to the weekend’s roster, as so far 82 per cent of those invited through regional combines thus far have gone on to be drafted. 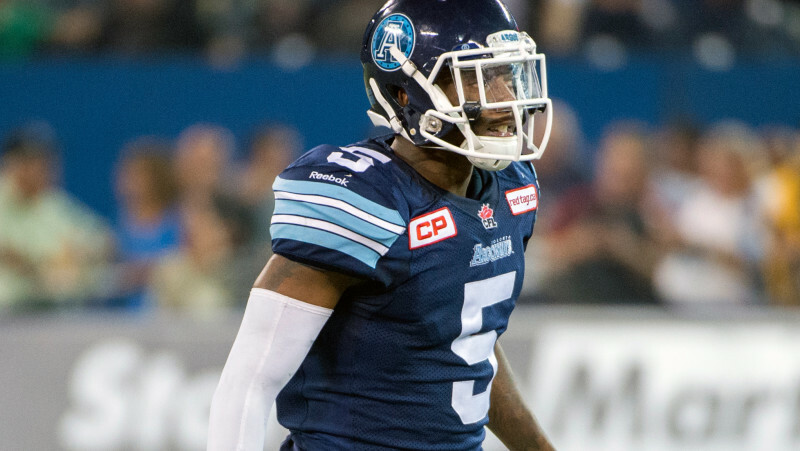 Further Reading: Jermaine Gabriel was a second round draft pick in 2013 and has emerged as one of the CFL’s top safeties. But where would he be without the début of regional combines that year? Possibly still working for a construction company in Calgary. While the official first day of the combine starts on Friday with medicals and measurements, Saturday is when the action truly kicks off, starting first thing in the morning with the event everyone comes to watch: the bench press. This is a sheer test of brute strength, with players pressing 225 pounds as many times as they can. The CFL record is 47 set by Wilfrid Laurier offensive lineman Michael Knill in 2011, a number no one has since come close to matching. Also happening on Saturday will be various measurements, the vertical jump along with club interviews, where teams get the opportunity to hold private sessions with the player to ask questions and essentially conduct a thorough interview. The bench press is one of the most talked about combine events because overall strength is an important attribute for all positions but especially the men in the trenches — the offensive and defensive linemen. CFL.ca’s live coverage of the bench press will take place on Saturday, March 12th starting at 10:00am ET with guest analyst Geroy Simon. “There’s a certain strength you have to have to be able to pass protect,” said Argos GM Jim Barker. “It gives us an idea of, OK, he has the physical skill level to be able to compete. Barker recalled an unnamed player currently in the CFL who did 12 reps at the East-West Combine. Last year Byron Archambault set out to break Knill’s record of 47 reps but came up short, still setting a record for linebackers while reaching 41 reps. This year it appears Knill’s record may be safe, but the biggest threat to tackle it could be Laval offensive lineman Philippe Gagnon. 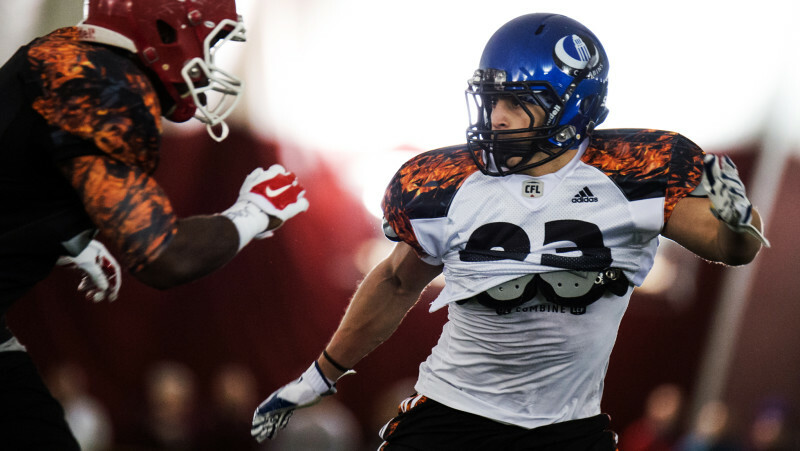 Gagnon is one of Justin Dunk’s top testing monsters after recording the most reps at the 2015 East-West Bowl with 35. If Saturday is about the bench press, Sunday is about the 40-yard dash — a test to see who’s the fastest and who’s the slowest. If the CFL Combine is about athleticism, which most will tell you it is, straight line speed should be considered one of the biggest factors. But could those four to five seconds define a prospect’s future? “40-yard times are really important for receivers and for defensive backs,” explained Barker. 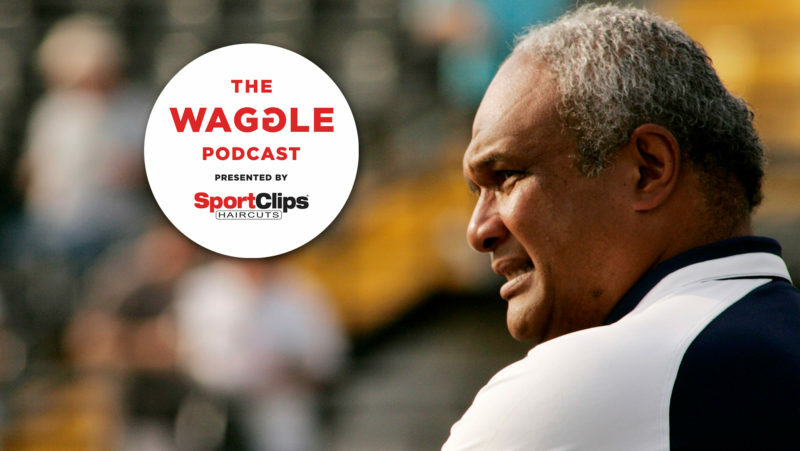 “There’s a certain speed a guy has to be in order to cover a receiver down-field. “A guy runs a 4.7 or 4.8, he can maybe play safety, he can maybe do other things — but he’s not a guy you’re going to say can be a man guy. 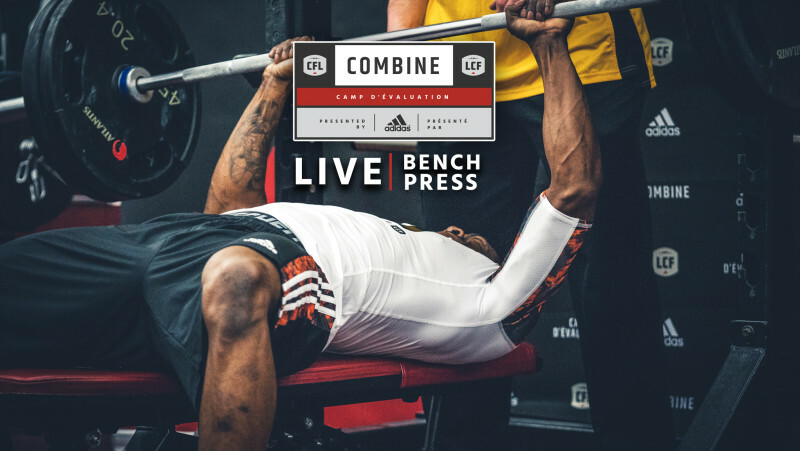 CFL.ca’s live coverage of the bench press starts Sunday, March 13th starting at 8am ET with guest analysts Duane Forde and Jim Barker throughout the day. No record in the 40 is ever safe, and there’s no better example of that than last year. Shaquille Murray-Lawrence broke a three-year electronic 40 record with a 4.41, just snapping Shamawd Chambers’ 2012 mark of 4.42. Yet on the same afternoon, defensive back Tevaughn Campbell shattered the mark with a 4.36 — the fastest electronic mark of all-time and the second-fastest overall, behind only Steven Turner’s electrifying 4.31 set in 2010. Will a record fall again this year? Time will tell, but so far both Jones and Johnson appear to be viable candidates to threaten what Campbell achieved a year ago. 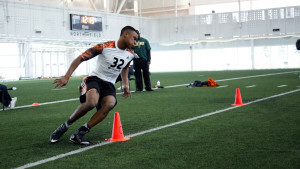 While all eyes will be on the 40-yard dash, equally important are other drills like the short shuttle, which tests a player’s change of direction. The broad jump tests explosiveness, while the 40 is also broken down into 10-yard times which focus more on offensive and defensive linemen and how quickly they can get out of their stance. 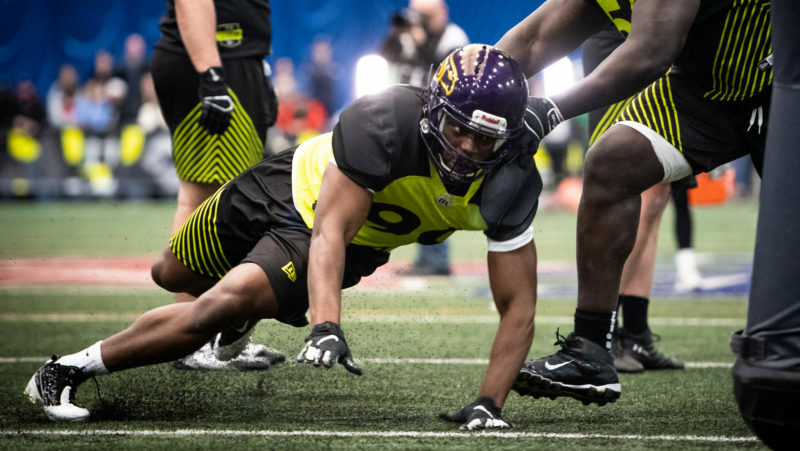 Speed, strength, agility, explosiveness — all these traits scouts and GMs will be in search of this weekend, but what defines a successful combine for participating players? “You’ve got to show them you can run,” said Gabriel. 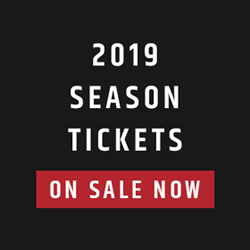 “Everyone says football’s a big man’s sport, but the game has changed. It’s all about speed at your position. Even I tell guys a lot, make sure you run fast. 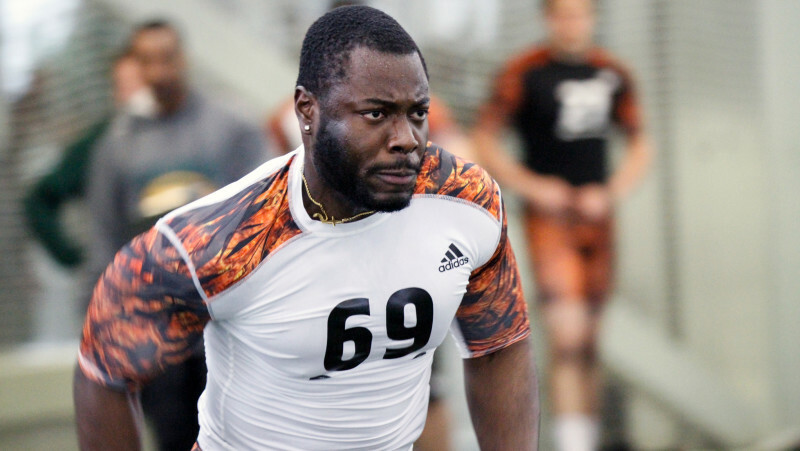 Alouettes linebacker Chris Ackie flew up the draft board last year and wound up going fourth overall, something he credits to his athleticism and versatility. In the end, though, while Ackie showed he could play multiple positions and also dominated in the testing portion of the combine (he broke a record in the broad jump), what he thinks set him apart was the one-on-one. “That’s just pure football,” explained Ackie, who prepared for the combine by watching film on players like Nic Demski and Lemar Durant — those he knew he’d be going up against. “To prepare for the one-on-ones you’ve gotta be assignment sound and know your technique,” he continued. “For me, I knew my competition. I watched film on those guys so I knew how they like to move because I knew they’re big guys that I’d have to be able to cover. Ackie’s athleticism put him in a good position to succeed, but his preparation and attention to detail separated him from the rest. And then, for last year’s sixth overall pick Nic Demski, it all comes back to that thing that can’t be taught: speed.